NEW YORK — A very great athlete will help pay tribute to "The Greatest." Derek Jeter's publishing imprint is set to release "Muhammad Ali Unfiltered," which includes photographs both famous and obscure of the late heavyweight champion and cultural giant, "select text" by Ali, and Lonnie Ali's eulogy for her husband. The book is scheduled for October, according to a joint announcement given to The Associated Press on Thursday by Muhammad Ali Enterprises and Jeter Publishing. The "Unfiltered" Ali book is the second in a planned series of illustrated works about prominent public figures. 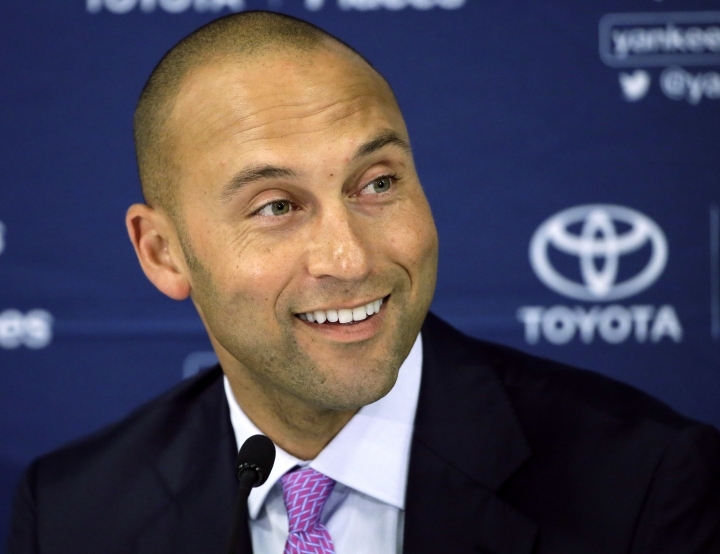 The first, "Jeter Unfiltered," came out in 2014, the same year he retired from the New York Yankees. In 2013, he launched his imprint in partnership with Simon & Schuster. In a statement issued Thursday, Lonnie Ali cited her "family's relationship with Derek" and their "trust in how Jeter Publishing curates content." Jeter added in a statement that "when the Ali estate approached us with the idea for this book, I knew it was the perfect fit for Jeter Publishing. "Muhammad's unwavering courage, conviction and perseverance will continue to live on in those he impacted," he said.